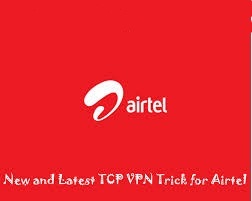 Hello Visitors after almost one week we are back with new Airtel TCP VPN trick which is working in many States. We apologies for blog being not updated from one week. Now lets come to trick, There is no disconnection problem with this trick. Also there is no issue of SIM blocking issue with this trick. This trick is confirmed working in UP-West and some other Northern States. It is very easy to setup tghis trick just follow steps carefully, first lets have look on some features of this trick. Now Download Airtel TCP Config file from below link. Download Airtel TCP VPN Config. Now extract downloaded Config files and paste it in NMD VPN Config folder. Run NMD VPN as Administrator and connect with given Config. Connection will be established instantly.